The interior design that underlies the Modern Manor packs a punch of posh style. 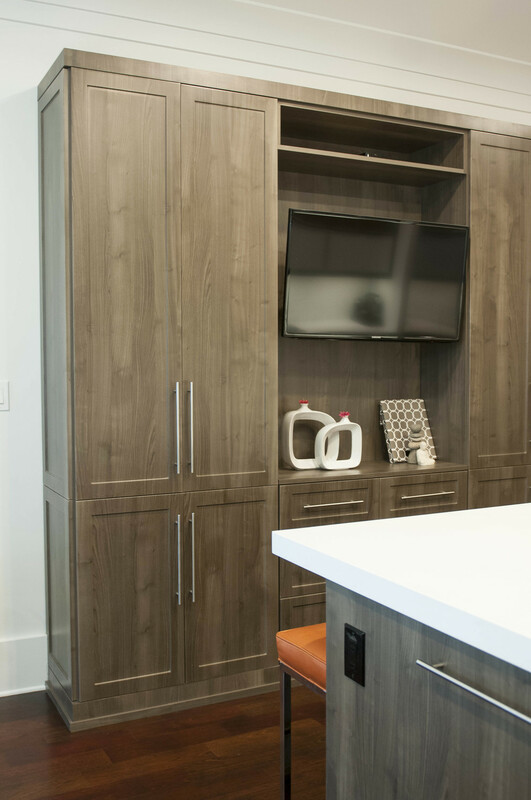 Designed by KBN Interiors, this Mid-Century Modern gem incorporates fashionably retro selections, chic furnishings, and supreme national brand name appliances. This home—nestled on the shores of Lake Norman—features interior design that is contemporary and carefully curated. Every nook and cranny in the Modern Manor speaks to intelligent design. In the kitchen, frosted glass paneled doors conceal dishes and glassware. Sub-Zero and Wolf appliances elevate the kitchen to commercial grade status while simultaneously enhancing the kitchen's sleek aesthetic. For an elegant touch of texture, the Walker Zanger tile backsplash nuances the walls. Zippy splashes of orange, as seen in the upholstered bar stools that hearken back to the retro style of the 1960's, offset the neutral palette and warm grey custom cabinetry. 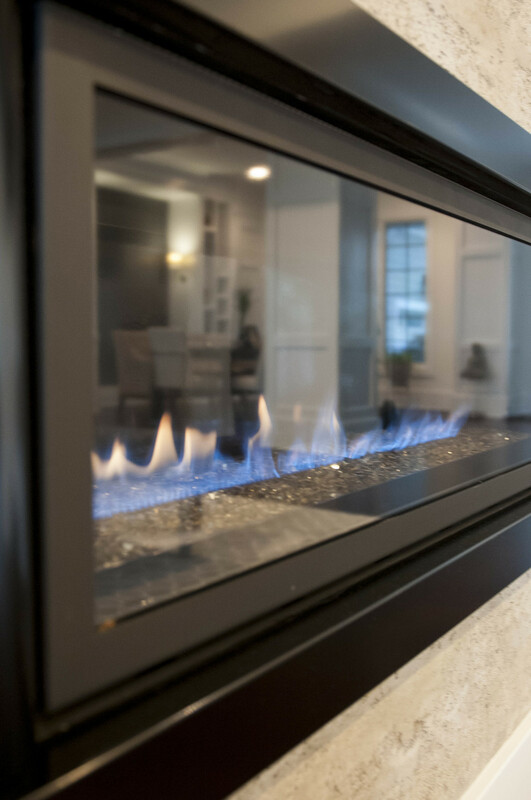 Situated off the chic dining room is a ribbon gas fireplace that adds a dazzling touch to evenings spent entertaining or cozied up. In the intimate dining room, plush cream upholstered chairs make the invitation to gather around the table more comfortable than ever. Rich Brazilian cherry hardwood floors gracefully juxtapose the cotton white walls while the top-notch interior millwork crafted by Envision Millwork adds space to showcase a selection of fine decor and relics. KBN Interiors created the Modern Manor to be a zeitgeist with an urban chic soul. Equally luxurious as it is comfortable, this home amplifies the meaning of purposeful modern design.